Lilian and Manon, the "Zlamal sisters", were born in Canada to Czechoslovak parents. They live in Toronto, Ontario. Lilian and Manon's voices combine to create beautiful harmonies, as evidenced by their recent release "The French Song", a lovely number that tugs at one's heart strings. 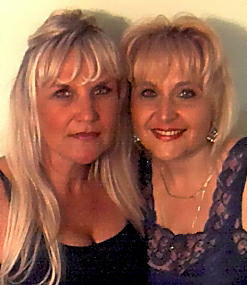 Known as the "Abba Girls" early on in their careers when in Europe, they have also enjoyed considerable success as individuals, but there is no doubt in this writer's mind that as a sororal pair, these two talented singers really shine. Visit Lilian and Manon's web site for a fascinating look at the musical journey these two gifted singers have been on.